Get up-to-speed with Microsoft's AI Platform. Learn to innovate and accelerate with open and powerful tools and services that bring artificial intelligence to every data scientist and developer. Artificial Intelligence (AI) is the new normal. Innovations in deep learning algorithms and hardware are happening at a rapid pace. It is no longer a question of should I build AI into my business, but more about where do I begin and how do I get started with AI? 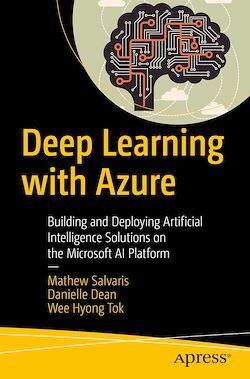 Written by expert data scientists at Microsoft, Deep Learning with the Microsoft AI Platform helps you with the how-to of doing deep learning on Azure and leveraging deep learning to create innovative and intelligent solutions. Benefit from guidance on where to begin your AI adventure, and learn how the cloud provides you with all the tools, infrastructure, and services you need to do AI. Professional data scientists who are interested in learning more about deep learning and how to use the Microsoft AI platform. Some experience with Python is helpful.